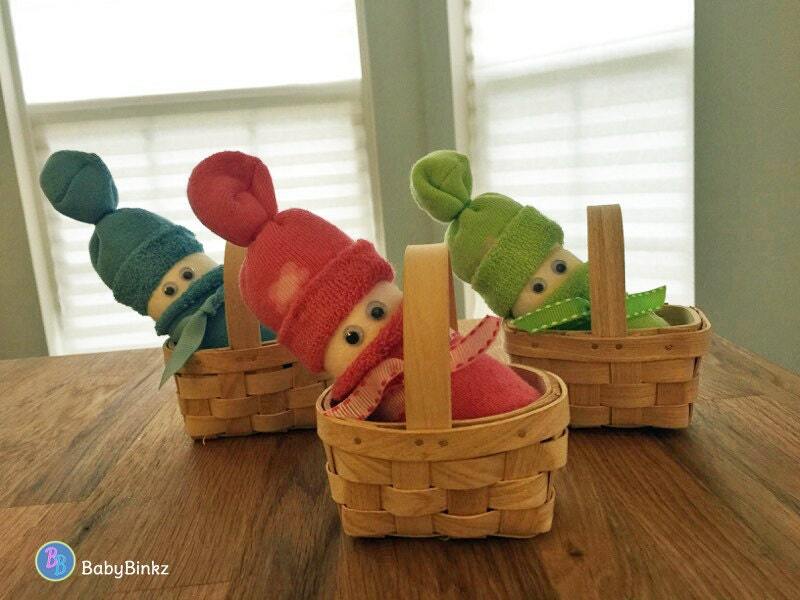 An adorable BabyBinkz Diaper Baby in a Basket is the perfect addition to any Baby Shower gift. They can also make great shower favors! This listing is for ONE Diaper Baby in a Basket. 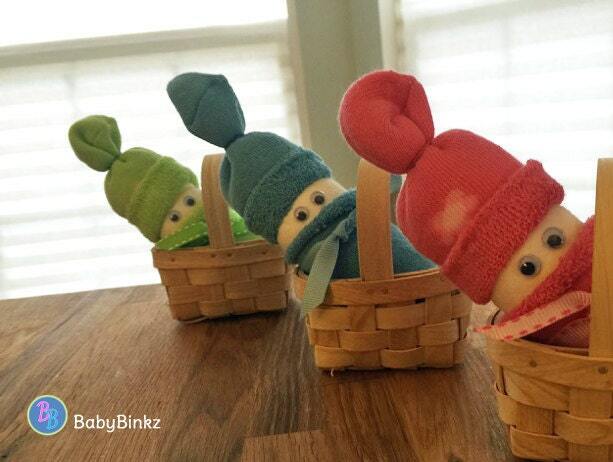 Each Diaper Baby is handcrafted, and made with TLC in the BabyBinkz studio! Please let us know if you would like the lollipops for a girl, boy, or neutral in the notes during checkout! Many varieties available. Ask about custom orders or special color requests! Please note: Depending upon inventory levels, ribbon, basket and sock colors / designs in the pictures may vary from our final products, but will always match the baby gender selected.